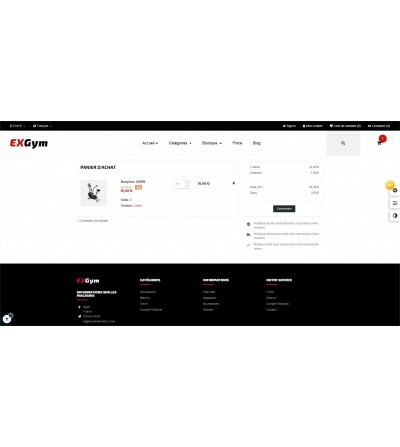 Shop online around the world of the Bodybuilding or of the sports in general. Ideal for the business in the field of food supplements equipment sports, etc. Menus customizable : colors, fonts, formatting, layout of the menu horizontal or vertical, etc. Home pages, products, list of products: customizable on the layout, colors, widget, etc. 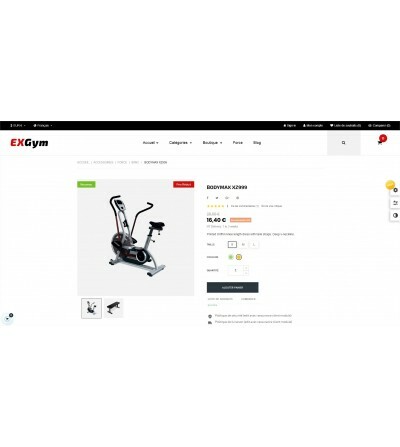 This shop is supplied with product pages, and categories for example. It's a shop oriented strength training products: food supplementsAccessories Bodybuildingetc. 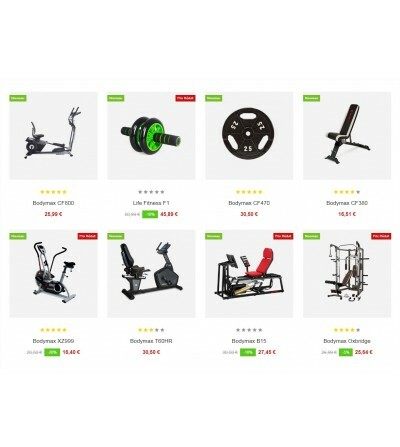 You can delete them and add your own products, with your descriptions and photos. To start, you can follow the official guide of Prestashop (free). This guide will tell you how to remove, add, edit products, categories, or even how to configure carriers, etc. 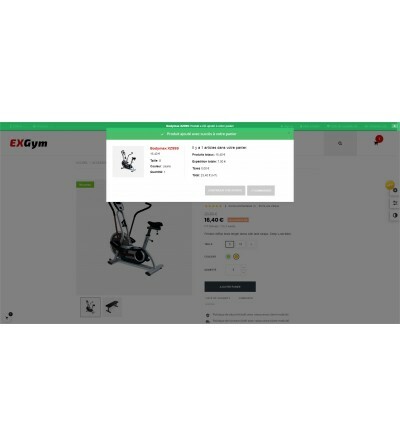 The price included no support, but if you don't have the time or you don't like to read at all, you can also opt for our individual training shared screen. You might have noticed, the gyms are springing up like mushrooms. This offer meets a demand increasingly stronger. Who says bodybuilding / fitness room, said dietary supplements. In this area, it is in our view, very interesting to have a physical store, and in addition, a online store. If you have one known or develop brand, the online store is essential: it will allow to target a wider audience, across the country, and why not international. To boost your business, social networks will be extremely useful: the Testimonials with photos or videos will be appreciated by your clients, for example. You can also devote a budget of ads for type product placement. 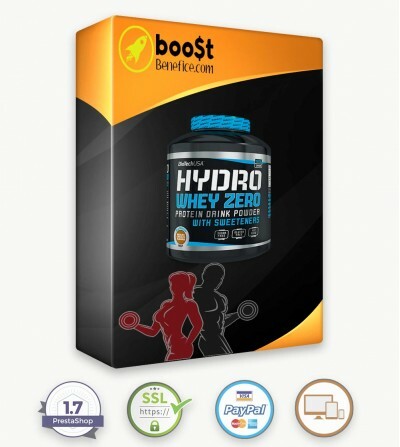 This business is already very popular, especially with resellers on Amazon: it will therefore stand out! Finally, this is an area in the "Council": beginners customers in sport, fitness and diet will probably have tons of questions to ask you. If you reassure your customer, he will be likely to finalize his basket on your online store (and not another). 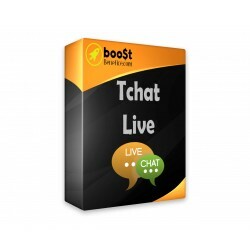 To do this, you can also opt for the installation of a chat online about your shop.